At Scalar Learning, mastering the ISEE becomes not only accessible, but more efficient than ever. For the last five years, Huzefa has been an ISEE tutor for students across the Los Angeles area. Pound for pound, the Middle Level ISEE is the hardest standardized test out there. Why? Because the level of material tested for 6th graders applying to 7th grade programs is above and beyond. Students are not simply rehashing concepts covered in previous classes. For most students, nearly 30-40% of the mathematics covered in the test are new concepts. This means that a substantial amount of studying is necessary in order to give kids a fighting chance on this highly competitive test. 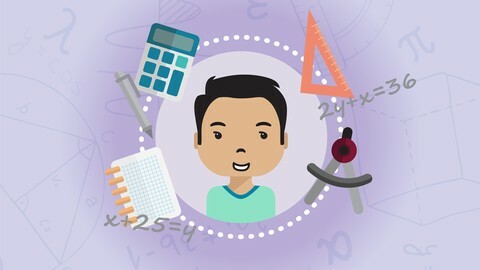 After years of gathering in-person experience along with a tremendous amount of exposure to ISEE prep materials, Huzefa designed the ultimate video course to prepare students for every concept covered on the Quantitative Reasoning and Math Achievement sections of the Middle Level ISEE. This comprehensive video course has earned top marks on Udemy, and has been used by students who have gone on to receive admissions at the most prestigious schools in Los Angeles, including Harvard Westlake, Brentwood, Windward, and Crossroads. If you are interested in one-on-one tutoring, Scalar Learning’s army of tutors has an abundance of mastery for the Middle Level ISEE. Our team knows how to both build a bond and connection with students while providing unparalleled educational service. We know the material, the strategies, and the mindsets necessary to succeed. For more information on tutoring, click here.